According to a new study by scientists at Southwest Research Institute, the dwarf planet Pluto may have formed as a giant group of comets. This theory was made possible by the integration of data collected by NASA's New Horizons and ESA's Rosetta mission. According to the scientists' 'giant comet' cosmochemical model of Pluto's formation, this conclusion was reached during their study of dwarf planet's nitrogen-rich ice in Sputnik Planitia, a large glacier comprising of the left area of Pluto's bright Tombaugh Regio feature. “We found an intriguing consistency between the estimated amount of nitrogen inside the glacier and the amount that would be expected if Pluto was formed by the agglomeration of roughly a billion comets or other Kuiper Belt objects similar in chemical composition to 67P, the comet explored by Rosetta," said Dr. Christopher Glein of SwRI’s Space Science and Engineering Division. 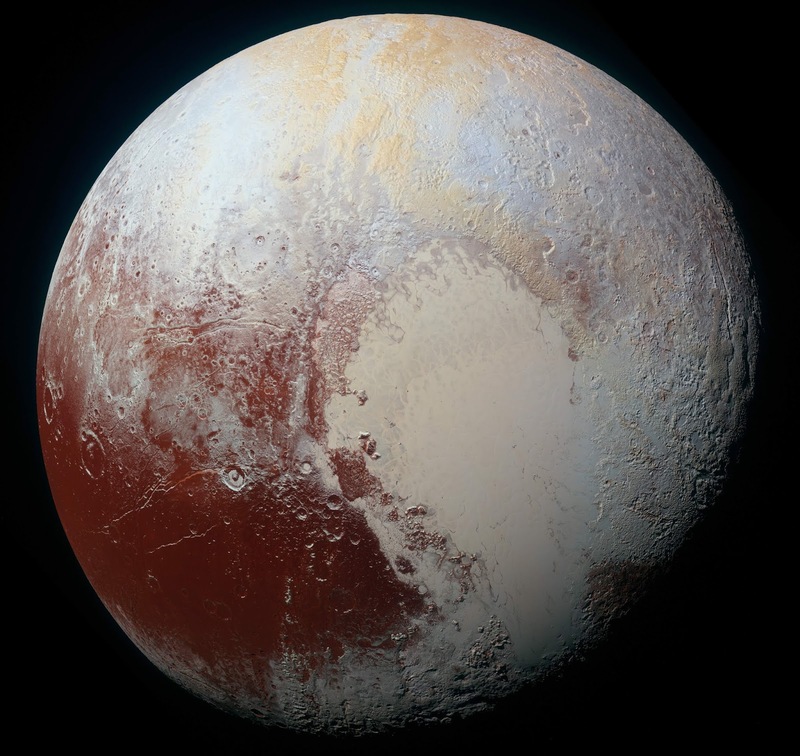 “Our research suggests that Pluto’s initial chemical makeup, inherited from cometary building blocks, was chemically modified by liquid water, perhaps even in a subsurface ocean,” Glein said. While the research suggested some interesting possibilities, the theory still leaves many questions unanswered.